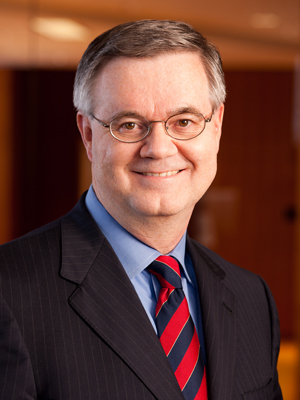 Douglas M. Monson joined the Banking and Financial Institutions Section of Ray Quinney, & Nebeker in 1982. Since that time, Mr. Monson has been deeply involved in the full array of banking and financial institution services offered by Ray Quinney & Nebeker. Mr. Monson has had extensive experience with commercial loan documentation projects involving numerous multi-million loans, as well as loan workouts and lender liability strategy and resolution. He continues to be involved in a wide spectrum of commercial lending negotiation and documentation services, both in the commercial real estate finance area as well as general corporate and business finance and agricultural lending. Mr. Monson was the chief architect and reviser of a unique set of multi-state real estate project finance documents for residential development and construction loans for First Security Bank, N.A., (now part of Wells Fargo Bank, N.A.). Mr. Monson has significant expertise with Uniform Commercial Code issues as well as real estate finance issues. Mr. Monson also has considerable experience representing secured creditors, bankruptcy trustees and creditors committees with both real estate collateral and personal property collateral issues in Chapter 11 bankruptcy proceedings. He also assists clients with negotiating and drafting general commercial contracts, and represented the Utah Insurance Commissioner for over 20 years in the Commissioner’s capacity as liquidator in several insurance company insolvency cases. Mr. Monson was formerly the Financial Director and Treasurer for the firm for nine years and was a member of the firm’s Executive Committee for eleven years. Mr. Monson has been named as one of The Best Lawyers in America in Banking and Finance Law and was recognized by Best Lawyers as “Lawyer of the Year” in Banking and Finance Litigation for 2017 and 2014. He maintains an AV Preeminent (4.8) rating with Martindale-Hubbell, which is the highest rating awarded to attorneys for professional competence and ethics and has been voted by his peers throughout the state as one of Utah’s “Legal Elite,” as published in Utah Business Magazine (2005-2011, 2013-2015, 2018-2019).